I’ve lived in Cambridge for just over twenty years now, and before that ten miles outside the city – I just washed up here because it’s where my last salaried job was. But I was cycling down Marylebone High Street in London one day in about 1999 when a fellow travel writer (working as a cycle courier) saw me, did a swift U-turn, and told me that he was moving to Cambridge because he had identified it as the best place to start a brewery. He then destroyed my electric drill constructing said brewery, but that’s another story. Richard turned out to be a very good brewer and a better businessman, so when in 2001 he suggested investing in a new pub company I was willing. That too was very successful – our first three pubs, in Peterborough and London, have since been profitably disposed of, and we had to wait ten years to see a dividend, but since then it’s ticked over very nicely. We now have three pubs in Cambridge plus the White Lion in Norwich (another city I’ll be writing about before too long). The first of our Cambridge pubs to open, in 2010, was the Devonshire Arms, which used to be a Jamaican dive, with a massive sound system, sticky floors and no beer other than White Stripe – at that stage we pretty much did all the remodelling ourselves, and the amount needed here was massive! But it’s been a very popular and lively pub ever since reopening (although the clientele has got a bit more alternative) – definitely a real ale venue (mainly Milton ales, of course, but plenty of others too, as well as real cider, a Moravian lager, wines and malt whiskies), but there’s decent food (notably pizza). It’s in the so-called ‘beer quarter’ on either side of Mill Road, with other great pubs such as the Cambridge Blue, Kingston Arms, Alexandra Arms and the Live And let Live, as well as the Salisbury Arms (see below), which is a bit more towards the station. 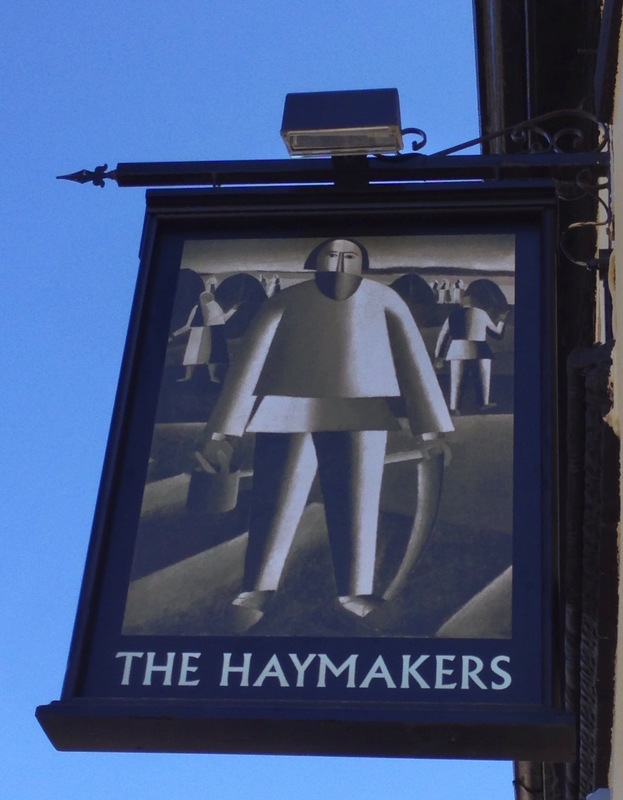 The Dev was followed by the Haymakers in 2013 and the Queen Edith (the only pub that’s anywhere near the huge hospital complex…) in 2015, both of which have a similar offering. Actually, I’ve been prompted to finally write this post in part by reading Brew Britannia by Boak and Bailey, which I mentioned in my previous post on Penzance – I wasn’t aware that Cambridge had played such a rôle in the real ale revival, with its first beer festival in 1972 and then annually from 1974 (when they offered 25 beers, including Schumacher Alt from Düsseldorf). 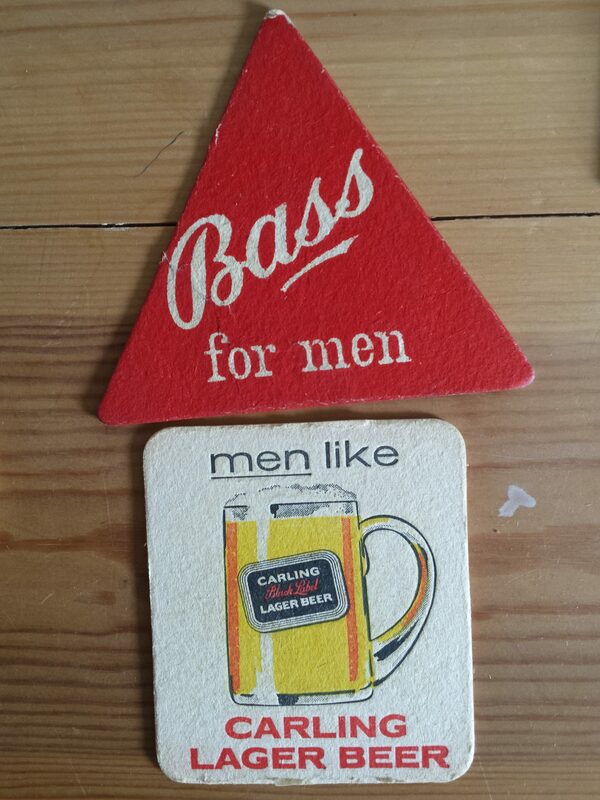 I was at the 2018 festival a week or two ago, and I couldn’t begin to count the number of beers on offer, or the number of people attending. It turns out in the book that the Salisbury Arms was one of the first pubs to be run by CAMRA’s business arm, opening in 1976 – it has long since been spun off, and is now a very successful Pizzas Pots and Pints pub (along with the Carpenters Arms on Victoria Road and a few others in neighbouring towns) – this is a new brand developed by the Charles Wells brewery in Bedford, who also own my local, the Red Bull on Barton Road (which does good pizza too, with a very popular two-for-one deal on Mondays). 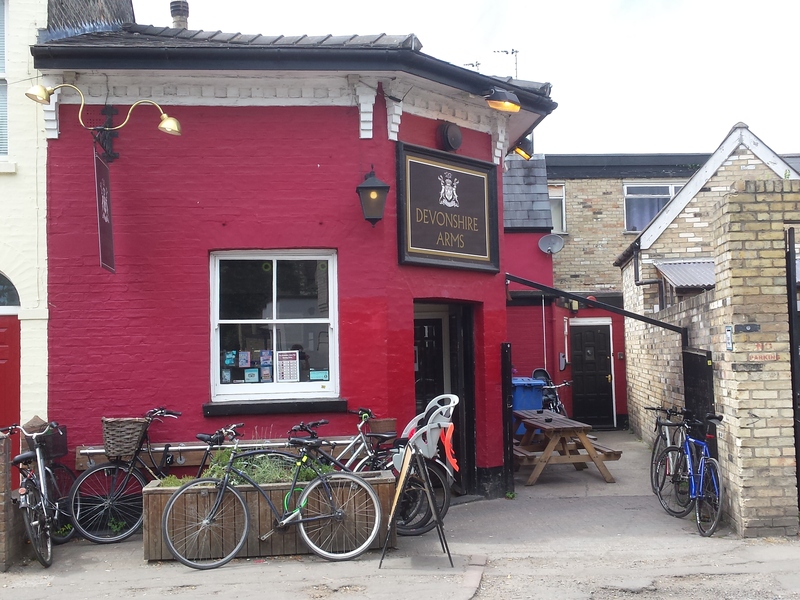 I find it interesting that there are several new mini-chains of largely food-led pubs, such as the City Pub Group (Cambridge Brew House, the Mill, the Old Bicycle Shop, the Waterman and the Petersfield, all pretty decent). The Old Crown in Girton has just re-opened and is along the same lines (though a bit posher) – it’s owned by Greene King, the dominant regional brewery, but is now run by Stuart Inns, who also manage a select number of other posh pubs across East Anglia, such as the Greyhound in Lavenham and the Swan in Long Melford. Greene King is unpopular, owing to its grasping way of doing business (driving competitors out of business) and the way it squeezes its pub managers and landlords; Suffolk’s splendid Adnams brewery only has one pub in Cambridge, the Castle Inn, which is very popular with all those who have sworn to avoid Greene King. The days when GK otherwise had a quasi-monopoly of Cambridge’s pubs have long gone – in addition to the Milton pubs, there are other Charles Wells places, such as the Elm Tree, which does an amazing line in Belgian beers (with a huge folder of tasting notes to help you choose). In fact the Elm Tree has been leased by Charles Wells to B&T, a smaller brewery in Shefford, Bedfordshire, but it usually has a beer or two from Charles Wells or Young’s (a historic London brewer), which merged in 2006. 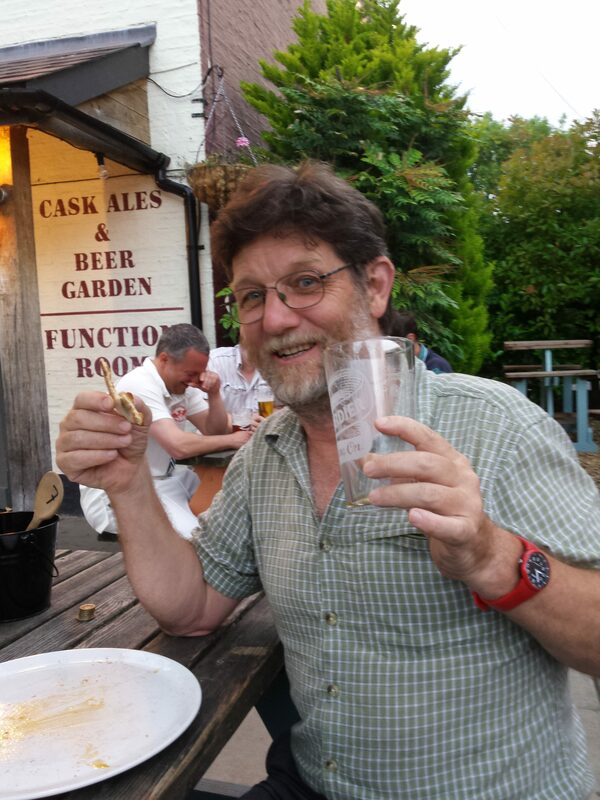 The other current trend in pub ownership is for them to be closed by the big pub companies and then re-opened in a community buy-out – this is usually because a village is about to lose its last pub (having already lost its shop, post office and bus service) and comes together to save it. Therefore this hasn’t happened in Cambridge itself, but it does apply to the Ancient Shepherds in Fen Ditton, the Hare and Hounds in Harlton and the Green Man in Thriplow, for instance. All well worth supporting. Other Cambridge pubs worthy of note are the Maypole (known for its great range of beers and for its very affordable cocktails – the only true city-centre pub mentioned here, although the Champion of the Thames is a fine traditional boozer too), the Portland Arms (known for live for music) and the Punter, which doesn’t offer a huge choice of beer but does good food in a pleasant setting, as well as the Blue Ball, the nicest pub in Grantchester and the nearest to Cambridge (my ‘other local’ in a way), which didn’t do food under its previous, rather grumpy, ownership but now offers a few decent dishes. I wanted to like the Thirsty Biergarten, a summer pop-up in a churchyard, but over-priced pasteurised ‘craft beers’ and a food van are really not my thing, though young people seem to like it. Nor am I interested in NOVI, which used to be the Fountain Inn and now is a trendy modern venue serving espresso, craft beer and cocktails. Two pubs have just opened at Cambridge’s main station (yes, we have two stations now, and with luck a third in a few years), but I’m not too bothered. It’s not that I’m dead set against craft beer and keykeg as such, but I can’t see why they cost 20-25% more than cask ale, or why people pay those prices.